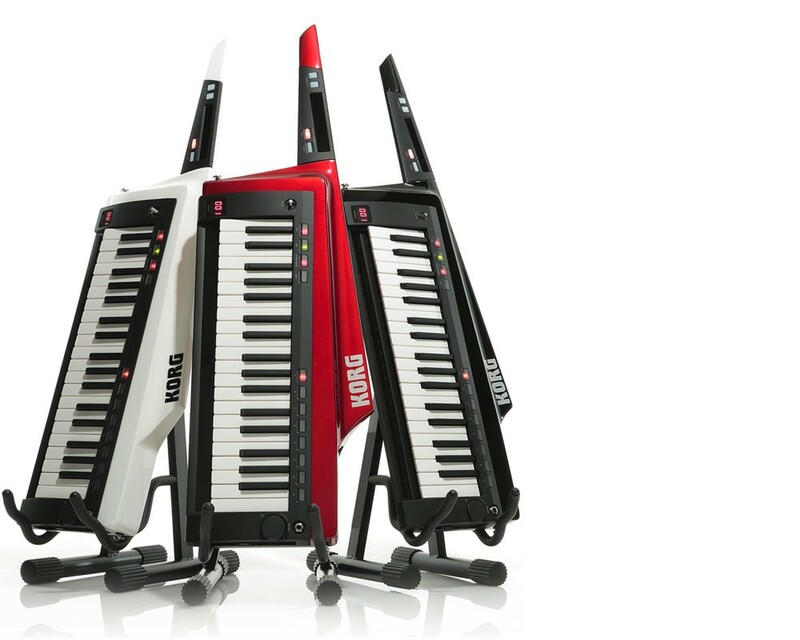 A keyboard that sets you free to perform. 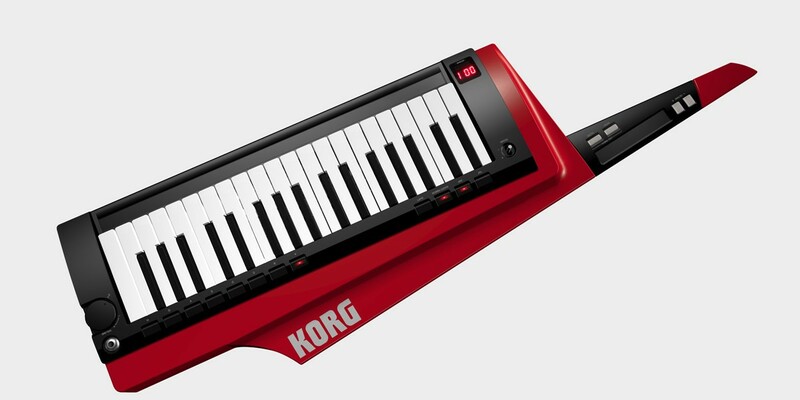 Appearing in 1984, the RK-100 remote keyboard broke the chains of keyboardists, setting them free to perform as they liked. 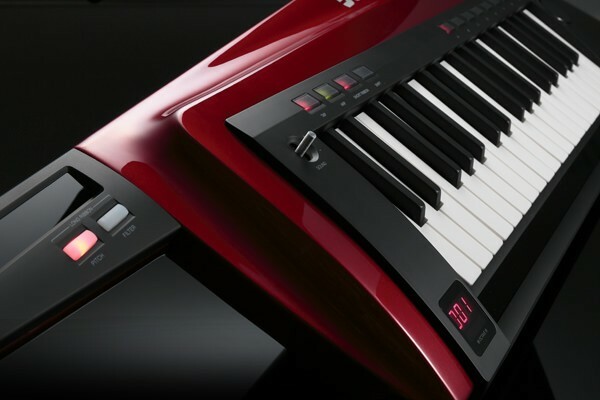 With a stylish body available in four colors, it allowed the keyboard player to challenge the vocalist or guitarist for the main role on stage. Now, thirty years later, the RK has been resurrected. Although beautiful curved surfaces have been added, the essence of the original and very popular design is unchanged. What had been a somewhat large and heavy body has been made more compact and lightweight thanks to modern components such as a slim keyboard. 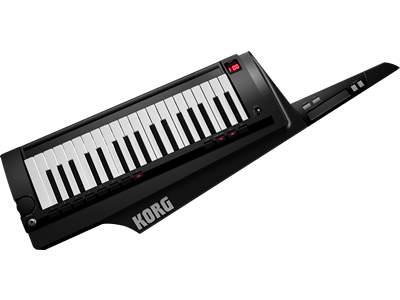 While the original required an external sound module, the new RK-100S contains a built-in analog modeling sound generator. 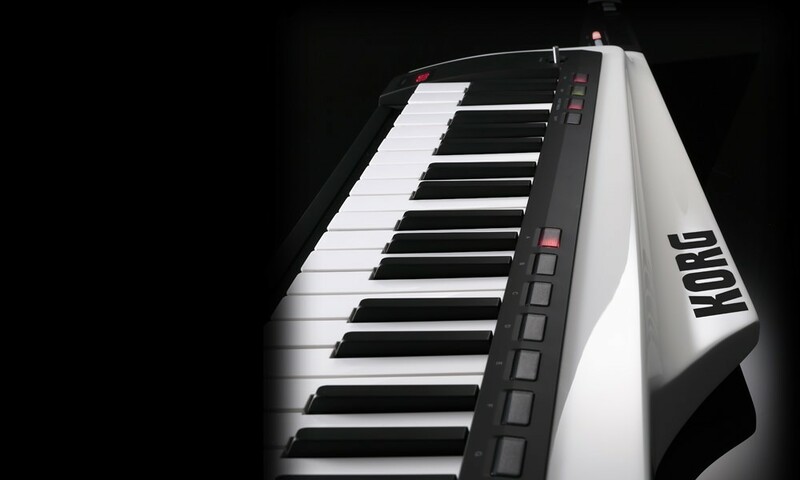 New features and functions include two ribbon controllers, an arpeggiator, and a vocoder, and there are also “favorite” buttons that allow you to register frequently-used sounds for one-touch selection. The RK-100S is your choice for smarter, more active, and more enjoyable performance. The attraction of the RK lies in its beautiful body. The carefully made wooden body consciously reflects the design of a guitar, projecting a timeless coolness that creates varying impressions depending on your angle of view, and featuring a new and elegantly curvaceous design. It’s available in three colors: red (RD), black (BK), and white (WH). Each color is painted with a gorgeous glossy finish that will draw all eyes on stage. Korg All Access: Vadim of Dragonforce talks about his newest addition. The Rk100s Here we caught up with Vadim of Dragonforce ahead of their set at Loudpark Festival, Japan. 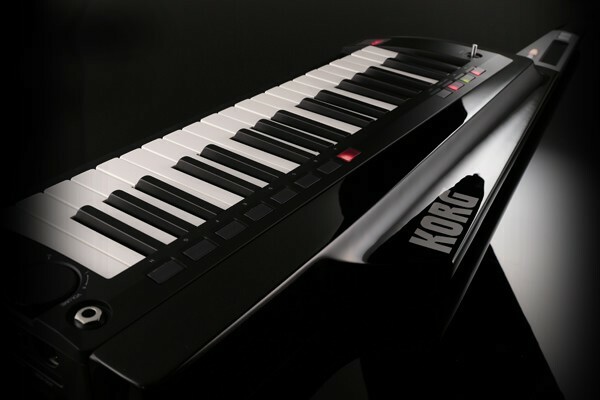 Vadim demonstrates his new addition to his live set up, the KORG RK100S. 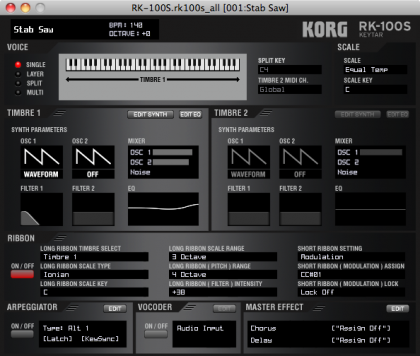 Since the RK-100S is equipped with a MIDI output jack, it can be used to control an external sound module. 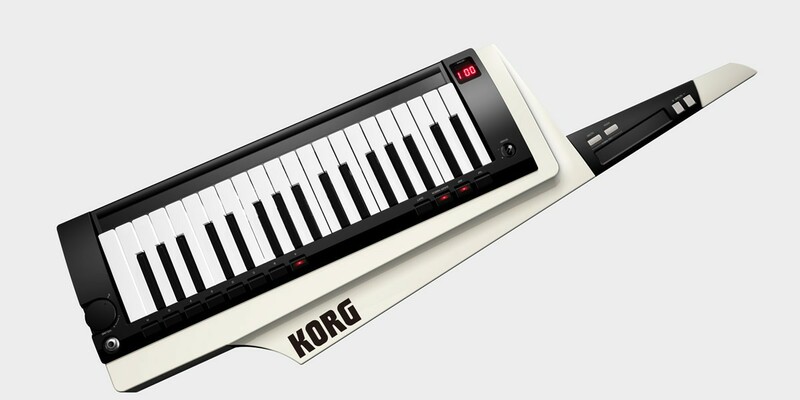 There’s also a USB port for connecting it to your computer, allowing you to control a PC sound module or use the PC editor to edit detailed MIDI settings and parameters of the internal sound engine. 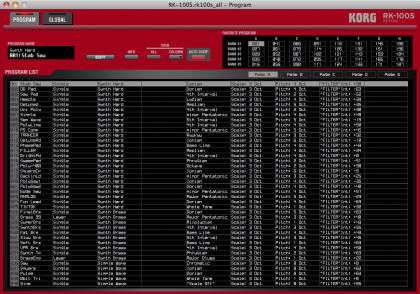 *You can change the PC editor’s background color to match your RK’s body color: Red, Black or White. 1. Extract the downloaded zip file, and double-click “Setup_E.exe” to start the installation process. 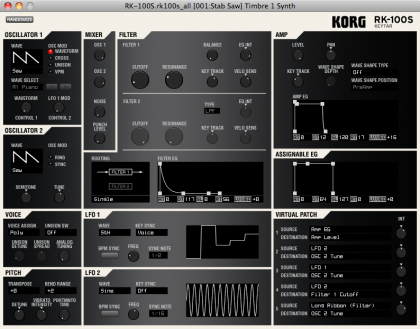 Installation * Please install the KORG USB-MIDI Driver and refer to the included documentation.